Looks real good, fits my open gun and protects it from the elements. The good product for my STI open. Easy to use and effeciency. Seems well made, covers my Pardini GT-6, which is big but not fitted with optical sights and is easy to use but perhaps not quite so easy to put on and off as the "neoprene banana" style. Another use I put it to is when I don't want to leave it unattended but need to move where I can be seen by Joe Public without upsetting the hoplophobes. Looks good, fits my production gun fine and protects it from the elements. What's not to like? Fits my Gold Custom with side mount CMore very well. I had a lot of dust covers in the past - all got lost! I like the feature of having a slot for your business card. Fits my open gun like a glove. The DAA Dust Cover is made of durable long-lasting polyester 600D and features a slick “no-snag” lining to ensure easy-on-easy-off usage. The double layer material and thin padding offer good protection to your valuable firearm without becoming too bulky or taking up too much space in your range bag. 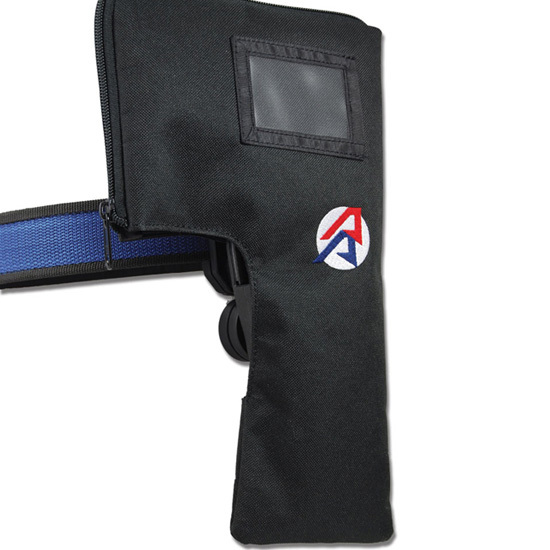 The material flaps beneath the sturdy zipper ensure that neither dust nor rain get onto your gun. 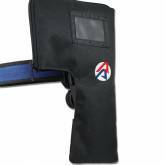 Each pistol cover includes a handy transparent ID pocket for placing a business card or competitor's badge to ensure that you and your dust cover can be reunited if separated on the range. Available for right-hand shooters only. Available in two sizes: Standard (for Standard and Production guns) and Open (for all scoped guns).